I’ll never forget the first time I saw Prince’s Under The Cherry Moon. The film is cinematic Dorian Gray mirror; mechanical masturbator; Fellini appropriator; a pure attempt to self-immortalize on celluloid. It’s often dismissed for this reason, and perhaps also the flagrant misuse of studio money it represents, but the history of cinema is a history of self-portraits, and not just of stars like Cary Grant or Marlene Dietrich. Directors like Yasujirô Ozu and Andrei Tarkovsky have visual signatures which become fingerprints on celluloid, ingrained on its gossamer skin for time immemorial. 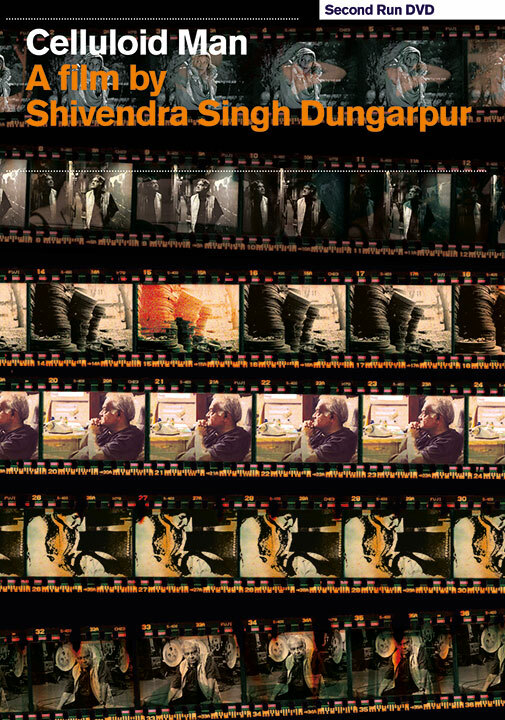 But Shivendra Singh Dungarpur’s Celluloid Man is a selfless and sincere portrait of a man who has dedicated his life fully to cinema, and so in celebration of his life, cinema makes a dedication to him. Fittingly, Dungarpur has gathered a gallery of filmmakers to discuss his contribution, all of whom glow with enthusiasm at the chance to recall the life and work of a friend and mentor; a man they call “custodian of the cinema“. For the country’s filmmakers, critics and cinephiles, the history of Indian cinema has been shaped by one man, the founder of the National Film Archive of India, an archivist named Paramesh Krishnan (P.K.) Nair. Born in 1933, in Trivandrum, Kerala, Nair spent his youth on the sandy floors of makeshift movie houses in his home town, staring up at the films of Billy Wilder (The Lost Weekend), and later falling for Kurosawa’s Rashomon and De Sica’s The Bicycle Thieves. 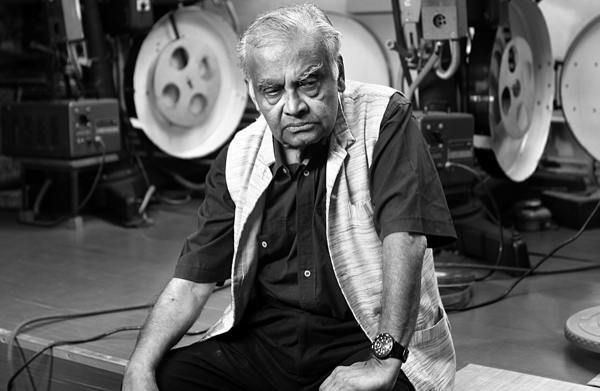 In 1961 he enrolled at the Pune Film Institute, where three years later he would single-handedly found NFAI, his tenure lasting 27 years until retirement in 1991. Nair’s frailty (his 81st birthday was last week) is striking, and two scenes at the film’s start; a gong sounding his arrival into an empty theatre, and his recollection of life played before the breakfast scene of Citizen Kane, suggest an inevitable and irrevocable course of time in which his life and work, and cinema, must find an end. The title Celluloid Man provokes a bold image too, of a figure whose skin is black and white, his torso made of wisps of film, a face of one hundred faces; the great movie stars of the ’30s and ’40s. But on the contrary it reminds us that celluloid itself breathes and demands to live, and that Nair has fought all these years not for, but with and alongside film. Nair insisted that the film be about the archive and not himself, but Dungarpur achieves a balance by employing his subject as eyes and ears to the wider issues of film preservation – political and philosophical ideas are therefore embedded in an emotional narrative. This is helpful when it comes to discussing the government’s attitude toward archiving – it’s not a concern – and how that has resulted in the loss of over 1,500 Indian silent films. These are not just facts or statistics, but in the context of Nair’s life, obstacles which have caused him hardship and pain. The film is long but beautifully paced, punctuated by sequences of old, otherwise unknown Indian cinema, like the first talkie Alam Ara (1931), and the silents of Dadasaheb Phalke. I marveled at the montage of old studio logos, none of which I recognized, but which speak to the vast number of films created and lost by this thriving industry. I was then saddened by the scene where Dungarpur watches the extraction of silver from black and white prints – a practice which has seen classics made into bangles for sale on street markets. The idea of film as a commodity to be bought and sold has never been so base and literal, but this is not uncommon, and we learn that many old filmmakers sold their own works to agents for destruction. Again we witness a cycle of life and death, irrevocable, and caught on film. The disc supplement is an interview with Dungarpur (12:34), in which he discusses his life and upbringing, his relationship with Nair and the topics of the film, but also included is a 19-page booklet featuring an introduction by Mark Cousins (written in his typically poetic, provocative style), and reprinted excerpts of Dungarpur’s diary covering the production of the film, from nascent concept in December, 2009, to filming in February 2012. A release for anyone who loves and cares about cinema, which should aptly describe the audience of Second Run DVD owners. Essential.